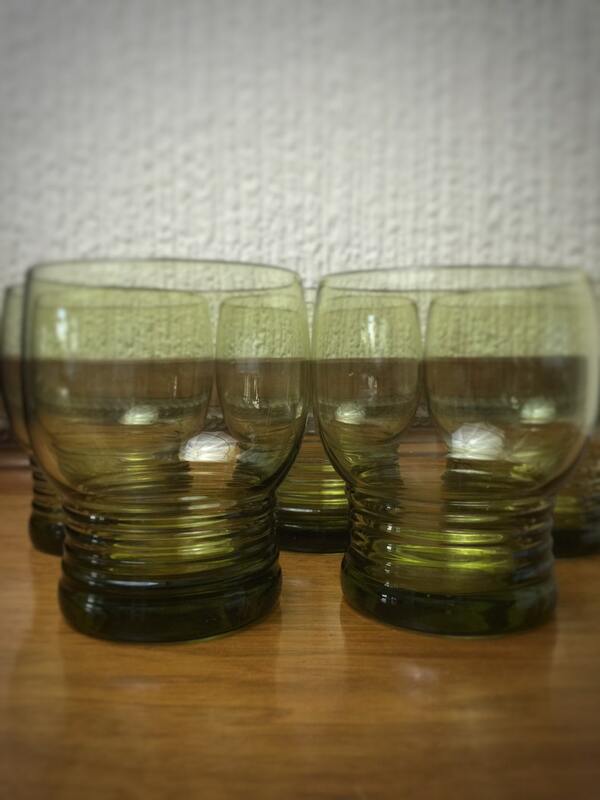 Are you looking for some quirky glass tumblers to add to your retro barware collection? 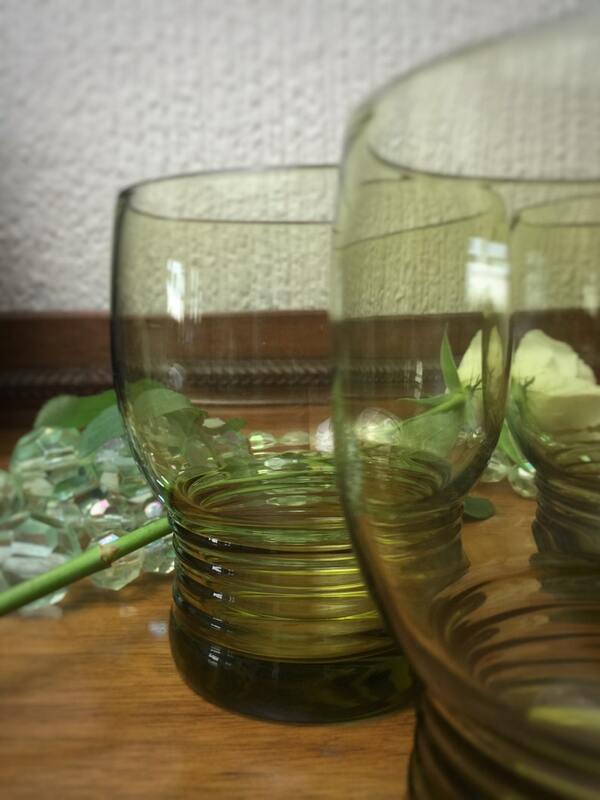 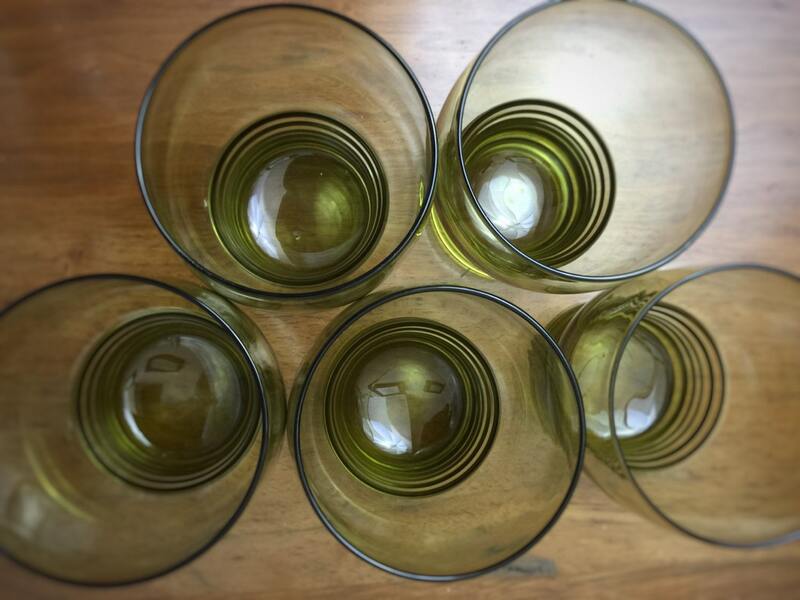 This is an elegant set of 5 Olive Green vintage heavy bottom drinking glasses from circa 1960s - 70s. 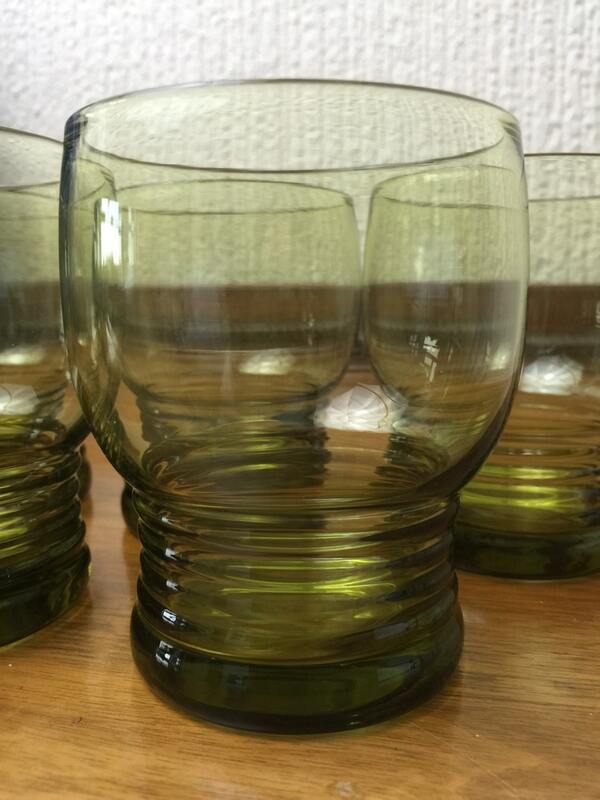 With these heavy bottoms there's no need to worry about knocking them over or easily chipping as they are good and sturdy.